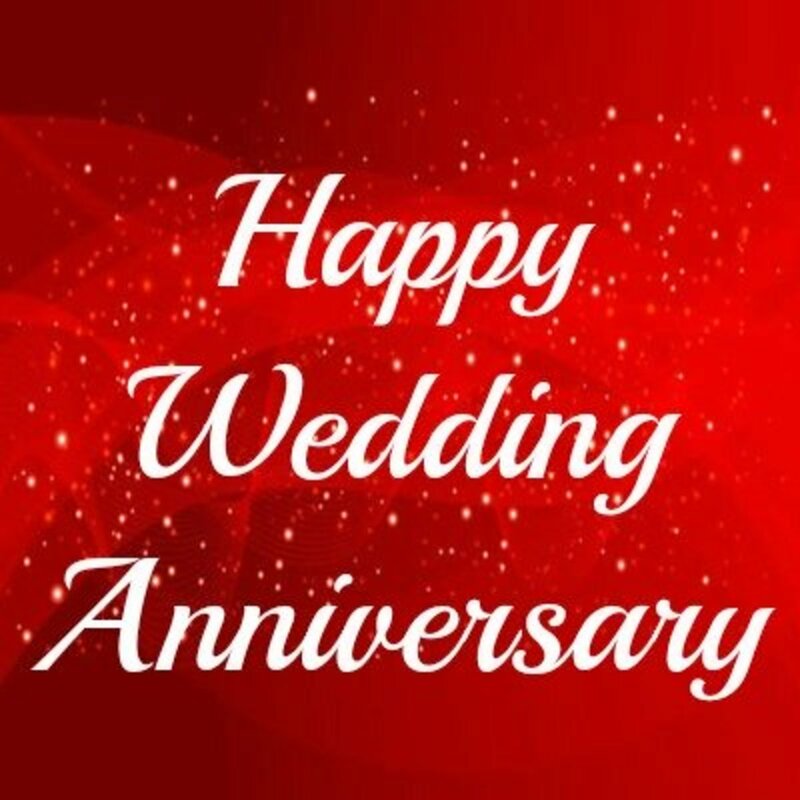 Whether you have been dating 3 months or 3 years—you will want to commemorate your anniversary with something special. 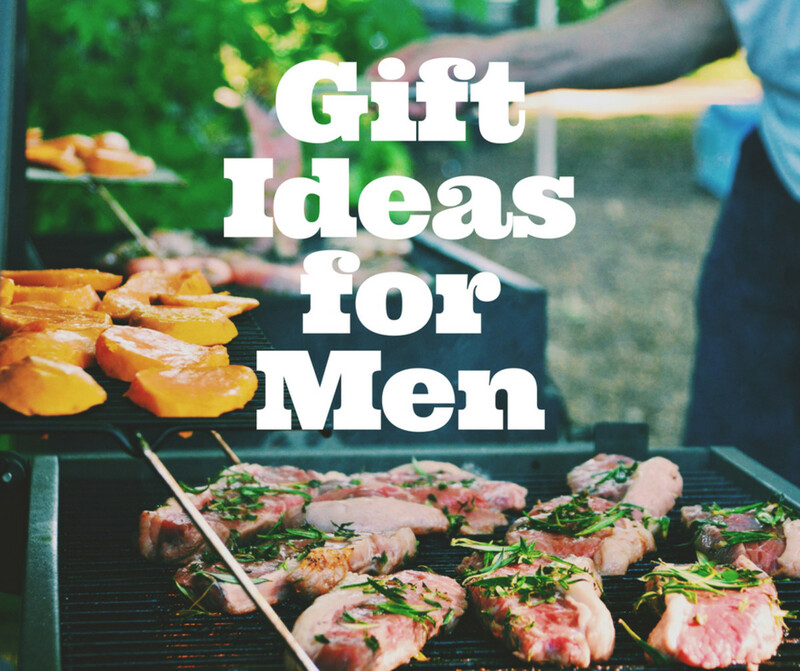 The good news is that you don't have to spend a fortune on the gift. Simply upcycle things like old jars and fill with treats. 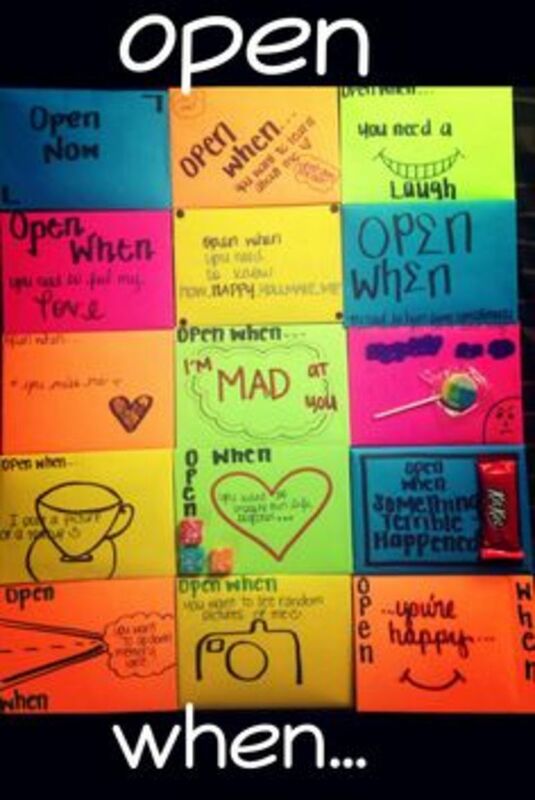 This is a super cute idea and doesn't cost the earth to make. Simply upcycle some old jars by filling them with Nerds sweets, and make your own label to match. Similar to the above idea, except this time you use popcorn and some sweet treats like red M&Ms mixed in. If you don't want to ruin their appetite, try filling a jar with sweet love messages to seduce them with your words. You can tell them what you love most about them, or write about a hobby that you love sharing together. 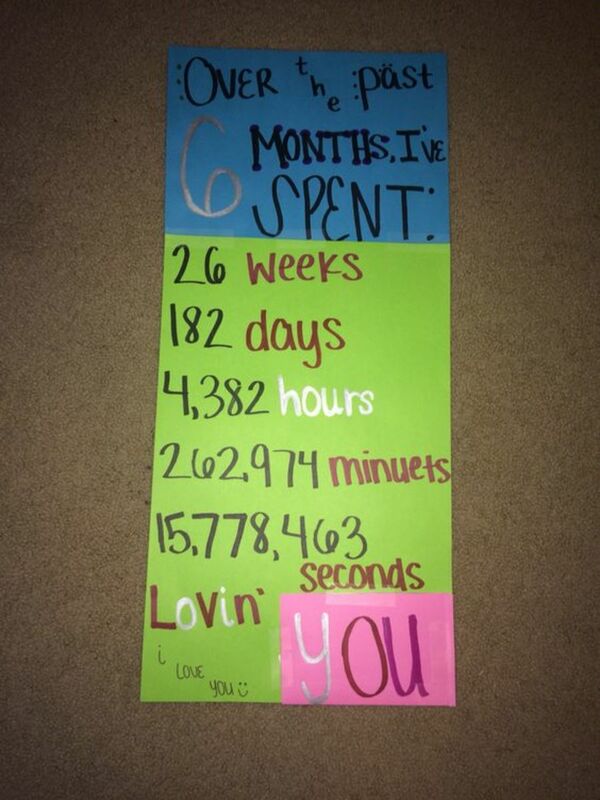 Take whatever length of time you have been together and break it down into weeks, days, hours, minutes, and seconds. (Use google to figure out the numbers.) You can write it on a colorful page with markers, and this can then be framed if you so choose. A really lovely idea is to cut out the shape of the number which represents the years that you have been together. 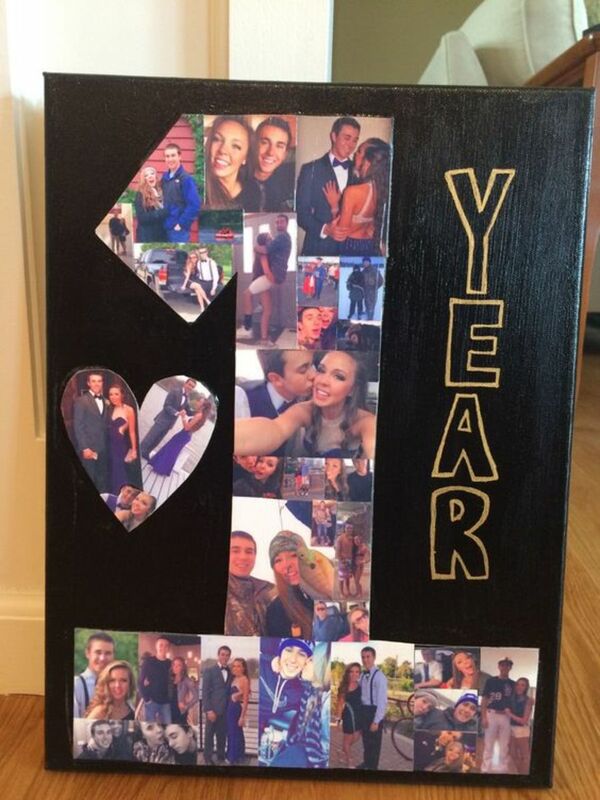 Then, you can go to town making a collage of photos of you two together to fit into the number. How adorable is this cake? And it's really simple to make. 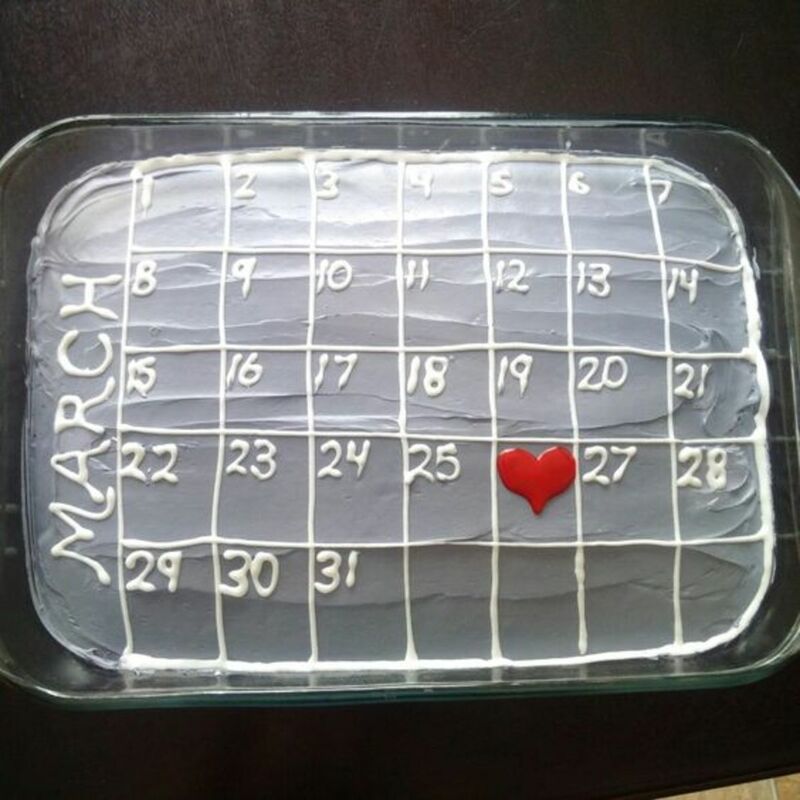 Simply use icing to draw out the squares and to make up the month. Then put a heart on the date you met. Go to your local dollar store and buy different colored envelopes and paper. What messages you place inside are entirely up to you. For example, you could even have a picture of you pulling a silly face in the envelope that reads, "For when you want to be cheered up." 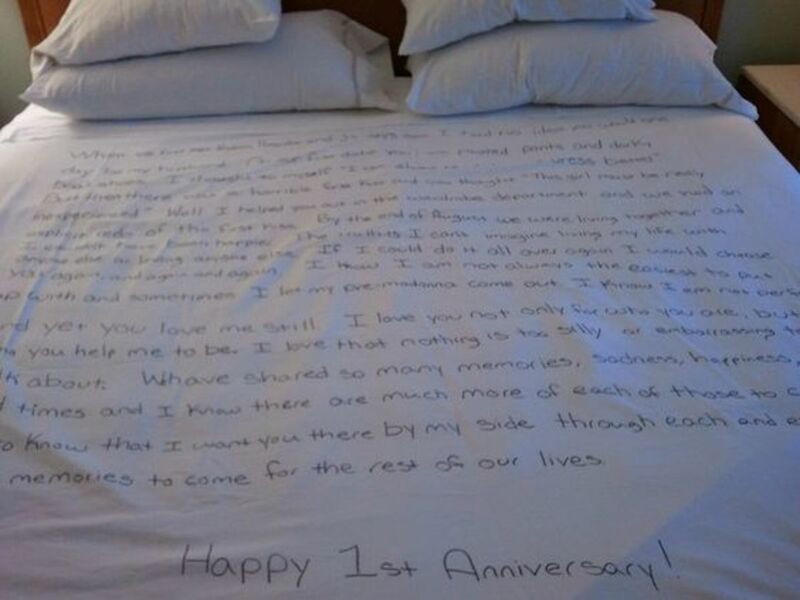 If you don't fancy making a patchwork quilt, try your hand at writing your love story on a duvet cover. Then you get to read this every time you put it on your bed. 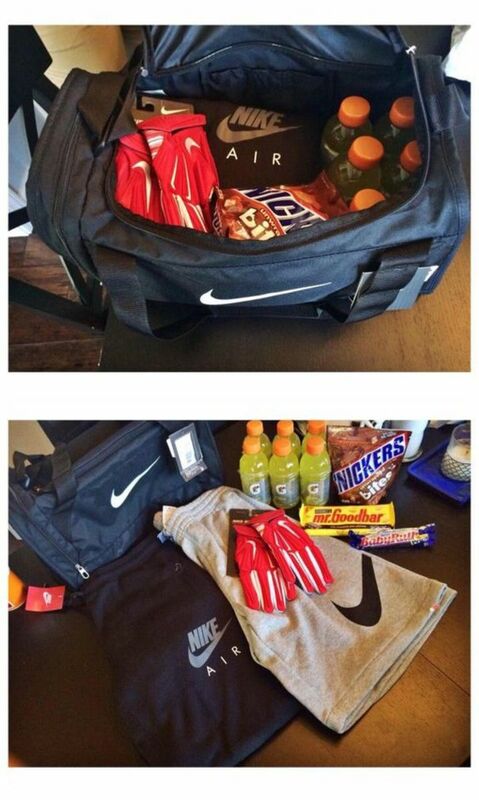 Why not buy a sports bag and fill it with some sports things? 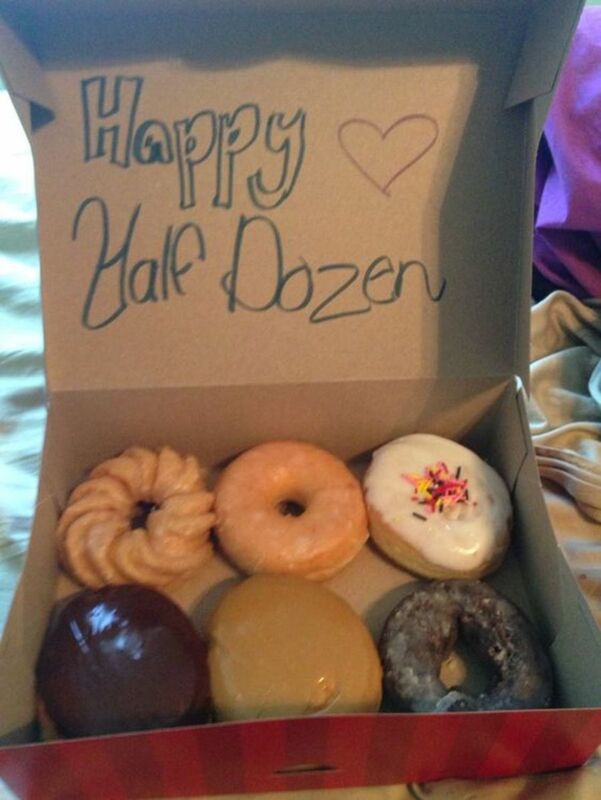 This is especially useful if your other half is a sporty type. Otherwise you could fill a bag with things of their favorite color, for example. This is such a fantastic idea. 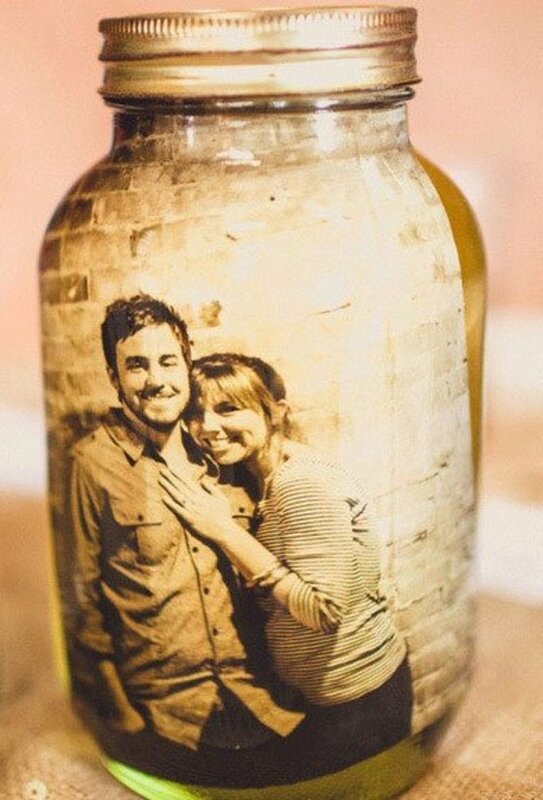 Get an old jar and paint a heart on it. 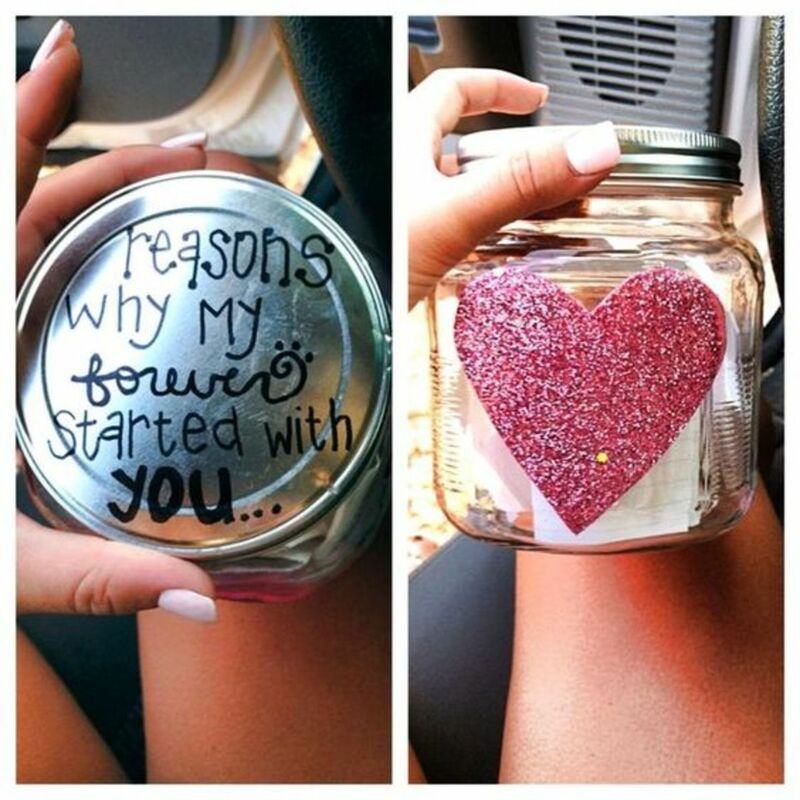 Get a sharpie marker and write the message "Reasons My Forever Started With You" on the lid. Inside, place little notes of sweet nothings. 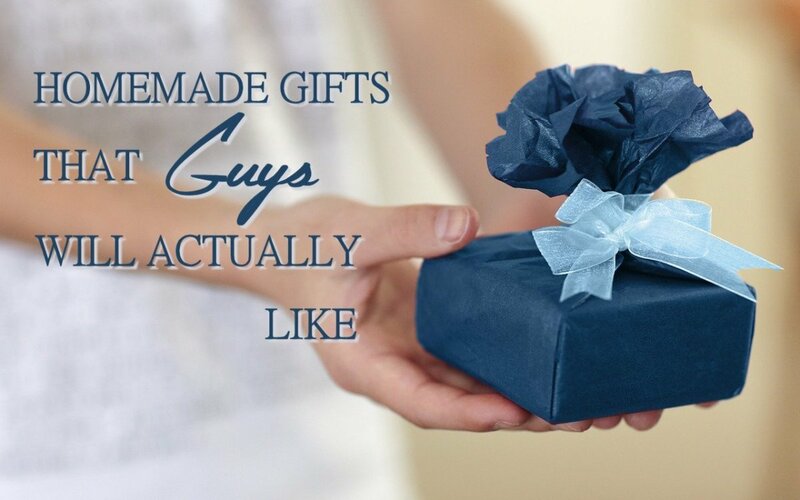 Cute Gifts for Couples That Won't Disappoint! I also got a Jar of Love in the last marriage anniversary. Beautiful and so interesting ideas. Ah that's a great point about customizing it to his sport !